Anne Leyden opened the Ennis Gourmet Store in 1997. Ann is a food science specialist, and her advertising and marketing qualifications have helped her develop the idea of Gourmet Gifts. 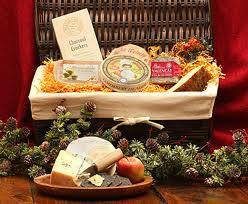 The Ennis Hampers are some of the best in Ireland and represent a large selection of Irish and continental products. We will make up your hamper and arrange delivery or have it ready for collection from Ennis.